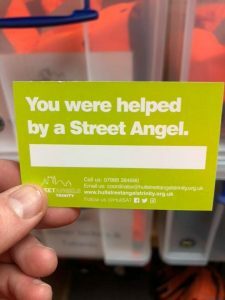 Having seen an article about a group of street medics in Leeds on BBC News we thought it would be a good idea to reassure everyone about how we operate here at Hull Street Angels Trinity. Hull Street Angels Trinity is a registered charity (number 1145797). We have a board of Trustees who make sure the charity is run properly and you can find our details on the Charity Commission’s website. Trustees are all volunteers. 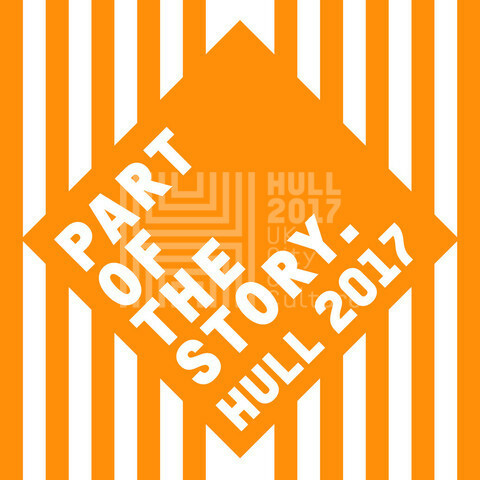 The Street Angels themselves are also volunteers and give up their time to make sure people using the night-time economy in Hull are safe. The people we help are often vulnerable so we are careful about who we allow to volunteer for us. All our volunteers have to complete an application process, meet certain standards and complete an enhanced Disclosure and Barring Service (DBS) check. They also receive training which includes basic first aid. If our volunteers come across anyone who needs serious medical attention they will call an ambulance. They will not attempt anything they are not trained to do and nor do they carry any medication. They do however carry a defibrillator in case of emergency. All of our volunteers wear a uniform and are issued with an identity badge so they are easily identifiable as being one of us. They are equipped with radios which are linked to the police and the council’s CCTV and we work closely in partnership with these organisations. So if you come across any of our volunteers you can feel confident you are in safe hands. If you or anyone you know is helped by one of our volunteers they will be given a card (pictured) so that they know who helped them. It also differentiates us from other groups and has details of how to donate to the charity should you wish to. Where donations are concerned, our volunteers will never collect donations from you at the time. Most of the people we help are either in distress or under the influence of alcohol so we don’t think it is appropriate. However, we work hard to find the funds to pay for the things we give away like flip flops and water so they are always welcome! No Comments to "Hull Street Angels and Street Medics"